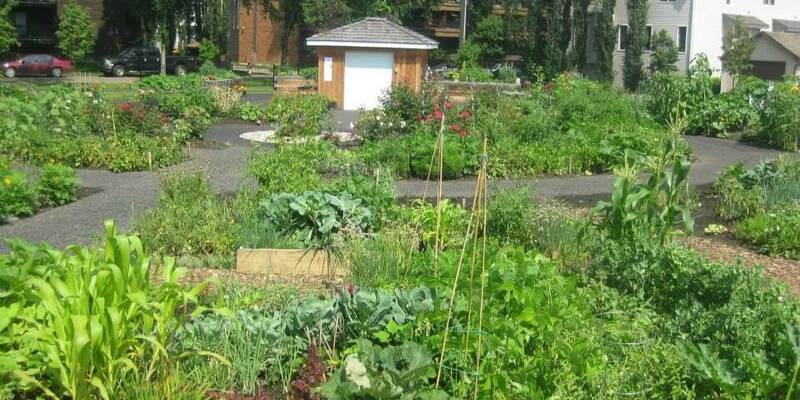 If you’ve been keeping your eye on the vacant land that is beside our Peace Garden Park community garden, then you likely know there have been rumours flying about land swaps, tall buildings, and shadows on the garden. With this post we hope to clear up the rumours and provide some background. Most school sites exist on municipal reserve land and are managed through Joint Use Agreements between the Government of Alberta, the municipality, and the school division(s). St. John’s School, however, was built on a site the Edmonton Catholic School Board owned outright. St. John’s School was operational as a school from 1938 until 1969. The Edmonton Learning Academy (a private school) operated in the building until the summer of 2014. The building remained vacant until the Edmonton Catholic School Board sold the site to Haya Homes in January 2016. 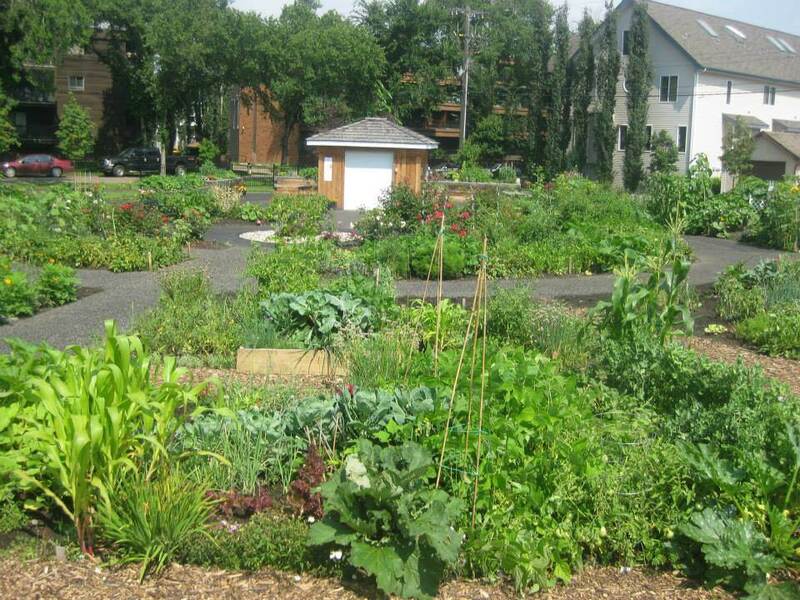 Haya Homes originally discussed doing a land swap with the community garden. The land where the garden sits is owned by the City of Edmonton and loaned to the community league for the Peace Garden Park. Swapping the garden site so that the garden was on the south portion of the lot didn’t happen and Haya Homes ultimately sold the site to Abbey Lane Homes in 2016. Abbey Lane Homes, the developer and owner of the site, attended our Civics Committee meetings twice. At the second meeting with our Civics Committee, Abbey Lane Homes presented a proposed development that would shadow the garden with two towers. Recently, the Civics Committee voted unanimously to write a letter of non-support for the proposed development. Abbey Lane Homes applied for re-zoning March 2017. The first public open house was held September 9, 2017 to allow community members and residents to take a look at the proposed development on paper, ask questions of the developer and City of Edmonton planning department representatives. The City of Edmonton has posted updates online here. Abbey Lane Homes has recently proposed switching the St. John’s School Site for the north-east corner of Oliver Park, which would include where our hall once sat. The Board of Directors, Civics Committee and Hall Committee are meeting with representatives from the City of Edmonton and the developer to further discuss this proposal. The City of Edmonton will be leading the process as shown in the diagram below. City Council is the ultimate decision-maker on a land swap and rezoning. If the land swap is pursued by the developer, and the City and the League are supportive, there will be a public open house to present the project proposal and answer questions. The City will collect feedback from this meeting, which will be shared back to the community and with Council at the Public Hearing. We will continue to notify the community as we receive information. The league will have our own membership consultation as well, to discuss implications and options for the Oliver Community League if the land swap is approved by City Council. Any OCL-lead community engagement will take place in the new year. If you have comments or questions regarding the site, please reach out to the City of Edmonton planner on the file – Mark Harrison (mark.harrison@edmonton.ca). Really interesting proposal. Abbey Lane will be able to build higher and be in compliance with the Oliver Community Plan, and the traffic from the building will be on the larger route (104 ave) and closer to the incoming LRT station. So those are plusses. I think the site is bigger, so a negotiation should probably include building a Community Hall on the old St. John’s School site, and moving the playground. As a member of the OCL and a gardener in the Peace Garden Park, I fully support the proposal of a land swap. I think the old school site should include a new Oliver Community Hall, and the new playground. If the Oliver Community Hall is going to be moved, it will need power and water), I would like to suggest that these utilities be added to the Peace Garden Park so that we no longer have to have water brought in and purchased privately. The garden area is also quite dark at night so a few lights in the garden would make the park safer at night. I’d also suggest if there is space that a small fenced off leash park be included. Their are many residents in the Oliver area who have dogs but no off-leash area to walk them. I definitely oppose the notion of a land swap that includes Oliver Park and personally think the new developer should consider the original land swap that was proposed and declined by the previous developer. I dislike the idea of the park I grew up next to being traded off so they could build a tower.